Lesley Jones is a fully qualified sports therapist with a BTEC Level 5 in Sports and Remedial Massage. From an early age, Lesley has always had a keen interest in sport, and a childhood spent in the gymnastics hall led to a passion for running and personal training. Lesley qualified as a Personal Trainer in 1998 and developed a successful business with many loyal clients in and around the Surrey area; the individuality of her programmes and her respect for the individual made her extremely popular. After the birth of her son in 2003, Lesley turned her attention back to her own training, and she competed in various local events, including Duathlons, Triathlons and the infamous Hellrunner series. It was during this time that her interest in remedial sports therapy grew. Selecting the right course was key – Lesley chose the BTEC Level 5 and studied at the prestigious Essentials for Health Academy in central London. Since graduating, Lesley has acquired a wealth of experience, treating a wide variety of people of all ages and backgrounds. Whilst very interested in treating all manner of sports-related conditions, Lesley has very relevant experience in the remedial treatment of a wide variety of medical conditions. 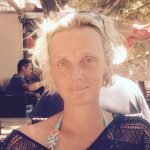 She has been a weekly contributing therapist at the Fountain Centre at the Royal Surrey Hospital, and is particularly interested in the benefits that massage can bring to those who may have had some experience with depression, stress, anxiety or pain related to their treatment for a variety of medical conditions. Lesley continues to develop her skills, and is embarking on a Diploma is Myofascial Release. Complementing this is Lesley’s instruction in Yin Yoga, which she now offers in various group classes in The Holistic Centre. To contact Lesley Jones, call 01483 418103 or email us.